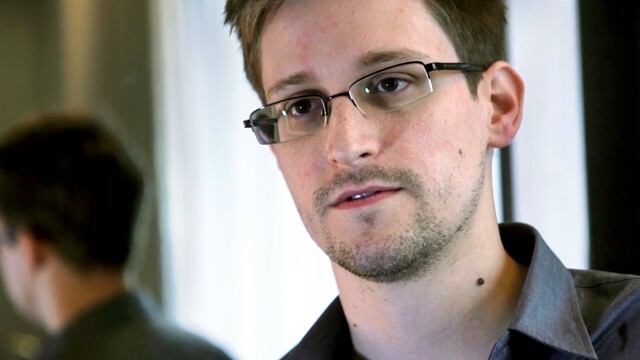 Should Edward Snowden Head To Shannon Airport? Only a week or so after assuring the world that he was not “going to be scrambling jets to get a 29 year-old hacker”, President Obama is doing just that, and in spades, metaphorically and literally ramping up the diplomatic pressure in a bid to secure the arrest of NSA whistleblower Edward Snowden. First he got his vice president Joe Biden to lean on Ecuador’s President Rafael Correa, apparently reminding him that his country’s use of the US dollar as its domestic currency could turn out to be a problem should Ecuador decide to give Snowden a safe haven. Then, reportedly at the behest of the CIA, a number of European countries refused Bolivian president Evo Morales over flight permission as his jet attempted to return to La Paz from Moscow where Morales had attended a conference about oil. Apparently the American spy agency believed, wrongly it turned out, that Snowden was on board and was making good his escape from the transit area of Moscow’s international airport. This morning we learn, courtesy of the Irish Times that the US authorities have sent a provisional arrest warrant for Snowden to Dublin just in case the former NSA contractor attempts to fly to South America via Cuba. All flights from Europe to Havana stop over at Shannon airport on the western coast of Ireland for refueling and anticipating that Snowden might take this route, the Americans are asking the Irish to detain him as soon as he lands. Ironically, the Americans may have highlighted a handy escape route for the beleaguered Snowden, whose life threatens to become a tragic parody of the Tom Hanks’ movie, The Terminal. I say this for two reasons. First, because the extradition treaty between Ireland and the US outlines two key exceptions both of which arguably apply to Snowden. One is a political exemption clause and the other is a bar on extraditing anyone for an offence which could merit the death penalty in the requesting state. The second reason has to do with a forty year precedent set by the Irish Supreme Court in which the political exemption clause was granted in a case which has some parallels with Snowden’s current situation. So, if arrested at Shannon, Snowden could invoke the political exemption clause in the treaty to stop the US from extraditing him. Also the Irish government would be obliged to demand a guarantee from the US that Snowden would not be executed if found guilty of espionage which theoretically he could be. If the US was to refuse then Snowden could not be sent back to America. The key issue though is whether Snowden would qualify for the political exemption clause in the treaty and here the track record of the Irish judicary gives the American fugitive cause for optimism. The most famous, non-IRA instance in which the political exemption clause was successfully invoked took place at the height of the Cold War and shares some of the cloak and dagger characteristics of the Edward Snowden story, not least that the central figure in both cases was a spy who changed sides. Crucially, the Irish Supreme Court placed espionage and the theft of secrets firmly in the category of a political offence. The story begins in 1961 when the British discovered a Soviet spy in the ranks of MI6, the foreign intelligence service and Britain’s equivalent of the American CIA. The spy was called George Blake and his double role was revealed by a Polish defector Michael Goleniewski. The discovery of Blake came at the end of a decade of spy fever in Britain and the realisation that the Soviets had fully penetrated the inner sanctums of British intelligence. Blake was the only spy the British had managed to catch red-handed and the court that convicted him handed down a savage 42-year sentence (savage by European standards that is). Blake was sent to Wormwood Scrubs jail and there he met two left-wing anti-nuclear activists who had been imprisoned for their political activities and an Irish criminal called Sean Bourke, whose only other claim to fame was that the actor Richard Harris was a cousin. The Irishman was outraged at the severity of Blake’s sentence and with the help of the two CND activists, Bourke determined to help Blake escape. When Bourke was released at the end of his sentence in 1966, the escape plan was put into action. Bourke smuggled in a walkie talkie to Blake and used it to arrange a date for the escape, October 22nd, 1966. While Blake made his way to the prison wall, Bourke waited with a rope ladder contrived out of knitting needles which he threw over the wall to Blake. As he struggled to negotiate the improvised ladder Blake fell and was knocked unconscious but Bourke managed to carry him to a waiting van and drove him to safety. Bourke had arranged accommodation for himself and Blake in London and the pair laid low for a while. Then Bourke drove Blake across the English channel to East Germany and then to Moscow where, like Edward Snowden now, the duo took refuge. Bourke and Moscow did not however get on well and after eighteen months or so he decided to return to Dublin. 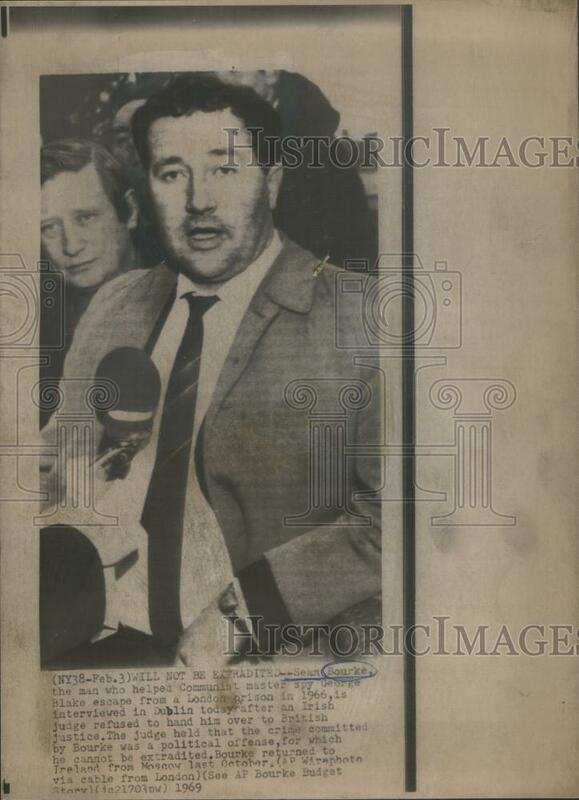 The British soon learned of his return and applied to the Dublin government to institute extradition proceedings under 1965 legislation. A lower court granted the application but the case eventually made its way to the Irish High Court. There Bourke explained that while he was no Communist he had acted to help Blake escape out of humanitarian considerations: “(Blake) was languishing in prison with 42 years facing him and he was just another human being.” The judge, the Hon Daniel O’Keeffe decided that since Bourke was motivated by a desire to make the police look foolish and that Blake’s activities embraced espionage that these would qualify as a political exemption and he ruled against extradition. Needless to say the British were outraged at the verdict and tried without success to get it reversed. So, the Sean Bourke precedent has survived and is there for Edward Snowden to take advantage of. Since he too was a spy who changed sides, in his case to inform the world of widespread US snooping, and that he too went on the run to avoid capture, there are enough features in common between his case and that of Sean Bourke to give hope that he also could prevail in the Irish courts. There is also likely to be considerable sympathy in Ireland for Snowden since his motives are clearly altruistic. His only problem with this strategy is how to get to Shannon without the Americans contriving at his arrest elsewhere in Europe. But if he was able to make the trip Ireland and Edward Snowden would make an interesting match. This case is a fascinating odyssey! You couldn’t write a better script. I hope somebody takes Snowden in or he will be living in airport limbo for a long time.It seems that our Latin American neighbors are the only ones with the chutzpah to challenge Big Brother.